Was Mahatma Gandhi an Illuminati Pawn? Left. Gandhi in London shortly after being called to the Bar in 1891. During his period as a law student in London, he joined the Theosophical Society and may have been recruited by MI-6. Ghandi was assassinated because he was an Illuminati agent who had betrayed the Hindu cause. As a Freemason employed by MI6, Gandhi's main role was to partition India in order to set it up for future conflict. This would serve the future depopulation agenda by fomenting regional wars. 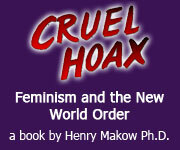 It would also justify the New World Order plan to implement world government to restore the peace. The Illuminati used the same M.O. in Korea, Vietnam, Iraq and Kuwait, and a host of other divide-and-conquer national bifurcation schemes. The Illuminati relentlessly implement their motto ordo ab chao (order out of chaos). It is their teleology. The Round Table was a world government body set up by Illuminati agent Cecil Rhodes. When Gandhi attended the Round Table Conference in 1931, Prime Minister Ramsay MacDonald presented him with the Communal Award for partitioning India. Gandhi gave a speech at the Round Table Conference promoting "Communitarianism", a buzz word used to disguise the Illuminati goal of establishing a worldwide socialist dictatorship under the cover of "communalism". In the 1890's, the young Gandhi set off to London to study law. His London Diary recorded this period in his life, but all but 20 pages have mysteriously disappeared. The surviving pages actually describe Gandhi's initiation to the Third Degree of Freemasonry in coded language, something only a Freemason scholar would notice. The original 120-page volume would have been his Freemason diary. If the surviving 20 pages are any indication, it appears to be a record of his initiation through the various degrees of the Order. Since he is known to have entrusted the Diary to a close family relation, the fact that it has gone missing is highly suspect. The more likely explanation is that it is being withheld from the public to conceal Gandhi's Freemason affiliations. 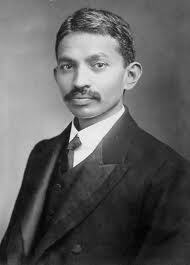 Gandhi later became a sergeant major in the British Army. His ambulance team joined the British in their campaign to suppress a "Kaffir" uprising in South Africa. Gandhi acted as a recruitment officer for the British Army in the Boar War, WWI and WWII and as an apologist for the British Empire in his Indian Opinion newspaper. Gandhi was assassinated and Natharam Godse was arrested in the square before hordes of onlookers. He surrendered, compliantly raising his hands over his head and handed his weapon over to the authorities. Gopal Godse, brother of Gandhi assassin, Natharam Godse, wrote a book called May It Please Your Honour based on the courtroom testimony of his brother, which the world never got to hear. Natharam Godse conducted his own defense in order to present his true motivations. He conducted his own defense, but the Congress Party of India ensured that not a word was published in any of the Indian newspapers. The police stole the notebooks out of the reporters' hands and destroyed them, issuing a stern warning that not a single word of his testimony be printed. Godse's courtroom testimony brought tears to the eyes of the packed gallery. Sobs conveying the deep emotion of those present could be heard throughout the court. 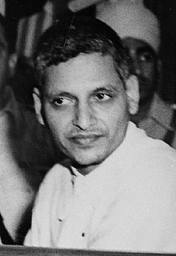 Godse testified that Gandhi was in regular correspondence with known terrorists, including the head of the Muslim League, a terrorist organization responsible for slaughtering thousands of innocent civilians, especially in Calcutta. He also alleges that Gandhi conspired with the Amir of Afghanistan to front an invasion of India in order to found a Muslim caliphate, but that the plot was somehow thwarted. Gandhi even promoted Hindustani as the lingua franca of India. Hindustani is Urdu under a different name. Godse, left, understood that this was subterfuge. It amounted to the Islamizing of India. Forcing a foreign tongue upon a great nation like India was treasonous. Mr. Shastri, Mr. C.Y. Chintamani, the editor of Allahabad and even the Mahatma's lifelong friend, the late C.F. Andrews, confirmed that Gandhi's speeches and writings added up to an open invitation to the Amir of Afghanistan to invade India. It was de facto high treason. Is there another word for a leader plotting to have his country invaded by an alien power? The Hindu-Muslim unity Gandhi claimed to covet so strongly was now a fleeting mirage. If Godse's defense were on public record, everyone would know the truth. If the press had not been muzzled, the word would be out. Instead, the treasonous Congress Party suppressed the truth and prevented the face behind the mask of divinity from being revealed. Comments for "Was Mahatma Gandhi an Illuminati Pawn?" Gandhi came from a upper middle class back ground and as in common with most from the colonial days were taught to accept that U.K the mother country and it's institutions were always just and fair. He enrolled at the ''Inner Temple'' to do his law.most of the ''Inns'' as they are referred to were a heaven for the Masons. Now to be a member of a Lodge, I gather one has to be 'invited' to join, proposed and seconded by existing members of the Lodge. Gandhi may have considered it a PLUS to be invited. and may have joined.I am assuming as no evidence is available,elsewhere except your evidence. None of his biographers ever mentioned this membership. Gandhi never wanted India divided and wanted Jinnah, a Muslim to be the First PM of India. As a protest he refused to attend the Independence day ceremonies. Subas Chandrabose disappearance is a mystery. I am not from India nor do I claim to be an expert on the continent. How DARE you call Mahatma Gandhi call a part of the illuminati.... He was a true SAINT !!! You, I DO believe now, are realy CRAZY and you should be SO shamed to call one the biggeste hero's that has ever lived, he was JUST as important to wold-peace as BIG people like Martin Luther King and Nelson Maldela !!! You make so sick, cry and I'm sooo VERY angry and sad now !!! First make a REAL study about his life, like I did... and than talk further !!! Mahatma Gandhi was a true Saint like Mother Teresa, or was SHE part of the illuminati too ??? I'm SO in shock now ... how silly you talk ! What about the insinuations about the Englisch Queen and the Vatican called to court??? Talk FURTHER about THAT because you stopped talking about it???? That does not make you believable do you understand that!!! Interesting that you should feature a post on Gandhi. He's in my new book, and I just found a great post on him yesterday. > After the war, a new leadership emerged around Mohandas K. Gandhi, who among those who had written to demand Besant's release, and who had returned from leading Asians in a peaceful struggle against racism in South Africa. In 1888, he had travelled to London, England, to study law at University College London, when he met members of the Theosophical Society. They encouraged him to join them in reading the Bhagavad Gita. Despite not having shown interest in religion before, as a result, Gandhi began his serious study of the text, which was to become his acknowledged guide through his life. You might want to look into those documentaries Chris White has connecting the New Age Movement and the NWO. I think Keith Thomspon's documentary called New Age Infiltration goes into Ghandi's Theosophy. Chris is the leading expert in that arena and he shows how all the top Conspiracy Guys (Jordan Maxwell, Tsarion, Icke) are linked in to Helena Blavatsky, Albert Pike, United Nations Anti-Christ program. Livingstone shows how all the false flag Muslims are linked into the same Occult program and Chamish shows how the Labor Zionist leadership of Israel are linked in. Indeed, thou shalt not kill. Yet, for those in the West who put Gandhi on a pedestal in their minds (ask yourself how you came to this idea of his supposed greatness i.e. who put this notion in your head? ), it is sobering to read the damage caused by Gandhi's actions. The murderer saw it as his responsibility to defend his own, to stop the selling-out of land and the spilling of Hindu blood, for which he largely held Gandhi responsible. It puts things in perspective although excusing a murderer is quite something else. The article by Timothy was about Gandhi and reading even the first two pages of the defense will tell you a lot more than the propaGandhi that has been poured out over us in decades past. Not so mysterious. Gandhi's father and family were very highly placed public officials during the British Raj (rule). He was groomed for his career in politics at University College in London and became barrister at the Inner Temple bar. For those that don't know, the Inner Temple in the City of London was founded by none other than the Knights Templar. After that he began his career in South Africa. There are too many Cecil Rhodes connections here to be irrelevant. With due respect to Gandhi, the 'decolonization' of the old British Empire was part of the long term business plan of Globalization. India was scheduled to become part of the British 'Commonwealth' - that grand illusion of independence. Without a figurehead leader to be a binding factor the Indian continent would have fallen into chaos when the British left. I think Gandhi was groomed and supported for that role. I think he was assassinated when he'd served his purpose. When the master planners need to unify a diverse people into a nation they give them an idealist. Soon as the nation-state exists, the idealists are simply in the way.